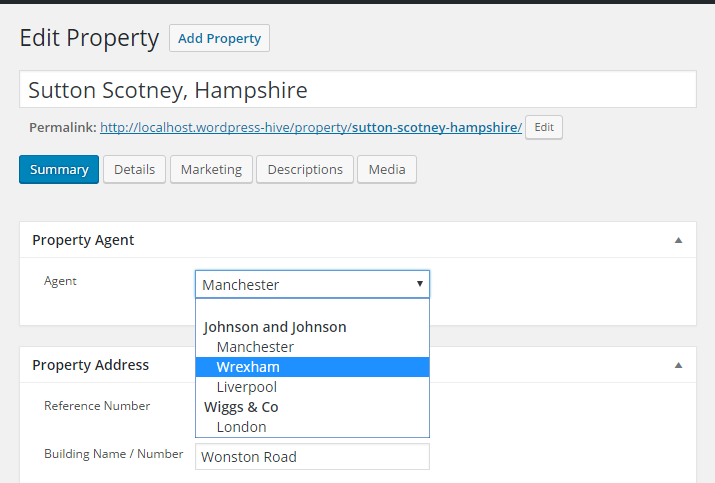 Turn your site into a property portal like Rightmove or Zoopla by storing agents and their offices, then assign properties to their respective agent. Upon activating the add on you’ll be presented with a new ‘Agents’ item in the left hand WordPress menu. This section provides you with a list of your existing agents where you can then edit them, or add a new one. 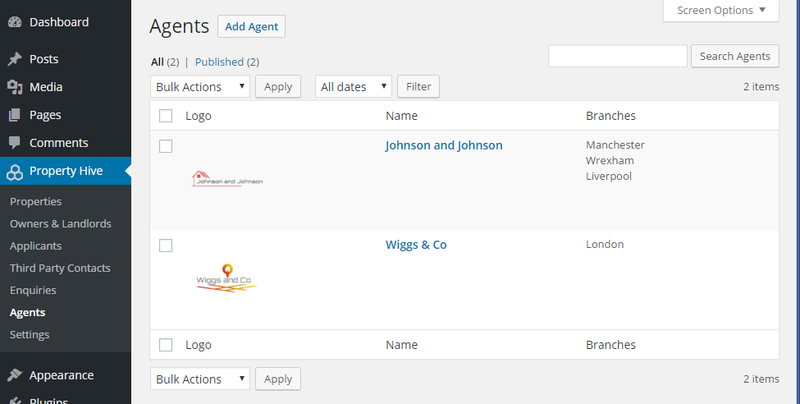 When adding or editing an agent you’ll have the ability to store their logo and manage their individual branches/offices. 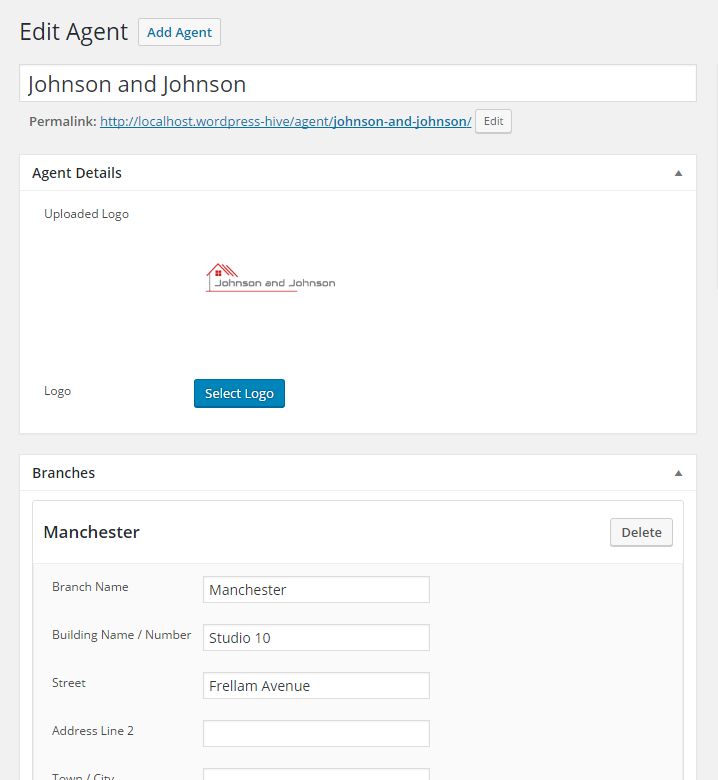 We’re confident that we’re one of the only property related plugins to offer this kind of agent-to-branch relationship. A great plugin which works well on our site. We are also using one of the premium add-ons which is perfect for what we need. I particularly appreciated that the developer responded quickly to our queries and released a new version with fixes for some bugs we reported. From within a property record you will then have the ability to record which agent and branch this property belongs to. By using this add on in conjunction with our Property Import add on you’ll really be able to create a powerful property portal. Have agents’ property stock imported from third parties, and the properties assigned to the correct agent and branch, all automatically. – Upon activation the templates/layout of property pages are not changed in anyway. It’s up to you to edit the templates and place the agents’ info where you would like it to appear (if at all). There are a number of useful methods available to obtain agent data, contact details etc, which we can assist with. – The add on doesn’t come with any kind of agent archive/directory where your user can browse/search for agents. This is something we will be looking to add in the future if we get enough requests for it. – Agents do not get added as users and therefore cannot login to any kind of control panel. Again, this is something we will look to add in the future.